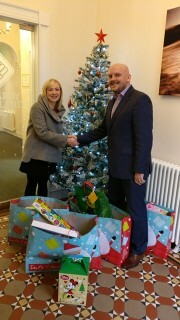 Our Aberdeen office were delighted today to hand over 30 Christmas presents to Katie from Befriend a Child. Befriend a Child is a fantastic charity that provides support to disadvantaged children in the Aberdeen area. Pictured is our Managing Director, Andy Kerr along with Katie.